X-Wing Second Edition puts you in command of your own squadron of advanced starfighters locked in thrilling, tactical space combat. Following in the footsteps of the first edition, the second edition refines the intuitive and exciting core formula of maneuvering your ships into position by placing a central focus on the visceral thrill of flying starships in the Star Wars galaxy. During a battle, you’ll use your squadron’s unique capabilities to give yourself an advantage in the thick of combat. Each X-Wing ship flies differently, with its own set of maneuvers ranging from gentle banks to aggressive Koiogran turns. As in the game’s first edition, you’ll need to use every ship’s maneuvering capabilities to the fullest in order to strategically position your ships. A round begins with players secretly selecting a maneuver on each of their ships’ unique maneuver dials. Once you’ve decided how each of your ships is going to fly, you’ll begin revealing the dials and moving your ships. Now, in the second edition of the game, your actions offer greater strategic depth than ever before. Some actions are red and induce stress when they are used. Other actions may be linked, allowing you to chain two actions together and push the limits of how your ship can handle in a dogfight! 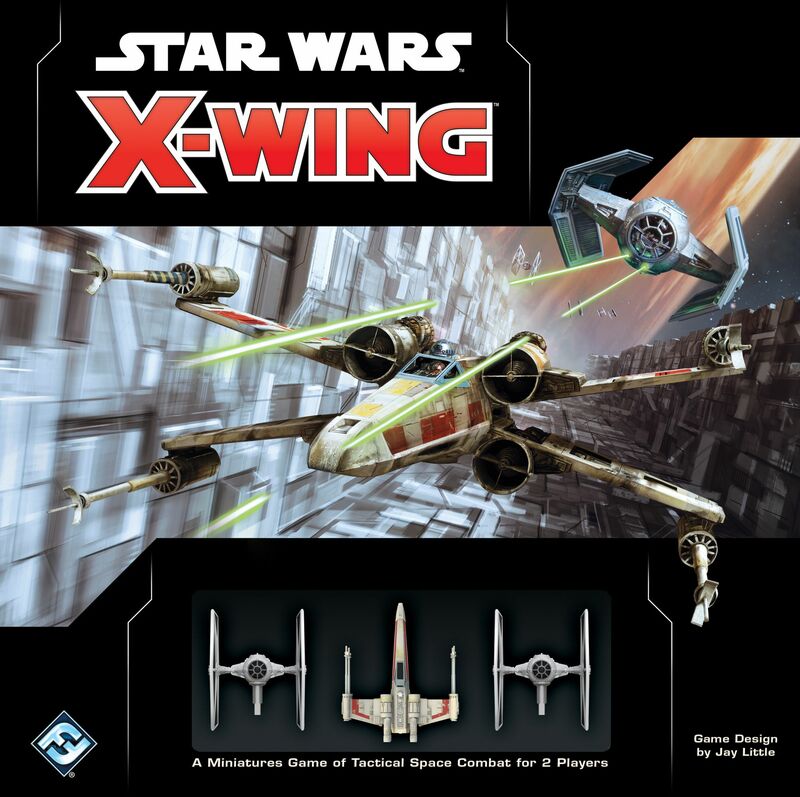 Wenst u het gezelschapsspel "Star Wars: X-Wing (Second Edition)" aan te kopen?